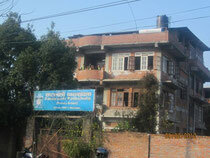 Our partners in Bhaktapur / Nepal - SAHAYA Nepal e.V. Webseite! The two have a lot in common: both are donation based organizations, we have worked at site for some month with them and, thus, we know the organizers personally and maintain a trusted relationsship with them. "Educating Children to Build a Nation" is the mission of our main partner organization TOIT (fr. roof) in Bhaktapur/Nepal. The organization provides education to street kids in the school "Saras Pathashala", which was founded and is run by TOIT. The school started 2006/7 as a shell construction with one class room, only. Since then one class room is added per year aiming for a complete 7-grade primary school. Since 2013 there are plans to extend to a 10-grade secondary school with officially accepted graduation. To comply with official requests the school had to be re-named, it was before named Saraswoti Pathshala. TOIT is currently exclusively based on donations. For more details on this impressing project visite the website of TOIT http://www.toit.org.np/ ! Founder and director of the school is Indra Prasad Khaitu, who is admiring the work of Albert Schweizer and strives to follow him as a role model. 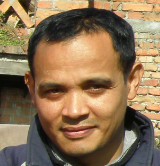 Meeting him in Nepal and cooperating with him over years we are very impressed by his vision, engagement and dedication; volunteering for half a year at TOIT in Bhaktapur 2010 and since then in the time cooperating with him and his organization we got to know him as an open, honest and reliable partner. Based on this contact it is ensured that our support gets directy to the school and the children. Regularly meeting his supporters in Europe he visited us 2012 in Berlin and gave an impressive presentation about the progress made and the vision for mastering the future. An orphan by herself, Sanu lost her husband at the age of 25, left with 2 boys under the age of two. To survive, in 2002 she started a women-only home. In order to generate some income she started teaching other women hoe to saw, knit, make hats and clothes. She also developed different programs to empower women and help them selling their goods at fairs and exhibitions. 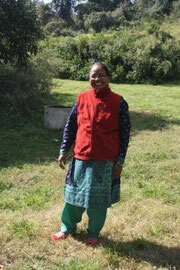 In 2006 she started the "Kopila Nepal Orphange" with 6 children under her care. Now she has 9 children ranging from 8 to 16 years old. She is also taking care of her 2 nephews whose mum abandonded after her husbansd died. Sanu is working hard to provide the best care and support for children faced with harsh family situations. Her goal is to give them a safe home, food, education and enough love so they can dream up a better future.